The performance runs May 10 through May 13. 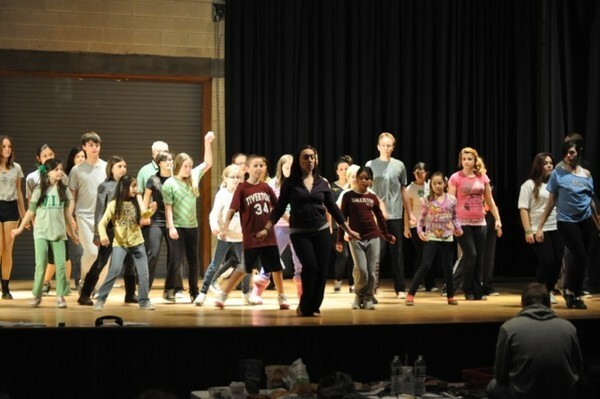 "Fame - The Musical,' conceived and developed by David De Silva is set to take center stage in the Tiverton High School Auditorium, May 10 through May 13! The show is directed by Gloria Crist, with musical direction by Patrick Krystman, choreography by Jenni Santos and vocal direction by Barbara Youmans. "Fame - The Musical' is based on New York's High School of Performing Arts, during the mid 80's and follows a group of students as they leave their creative mark on the school and the world! With a volunteer cast and crew of over 60 students and adults - and a surprise encore number - "Fame" is not to be missed, and will have you singing along to the songs from the hit movie. Tickets are $10 for general mission and can be purchased at the door. Performances run May 10 through May 12 at 7 p.m. and Sunday, May 13 at 2 p.m.